I’d like to deny that all Americans have some kind of yabboistic tendencies, but I know it to be false. Given the right time, we love smokey burnouts and loud cars. 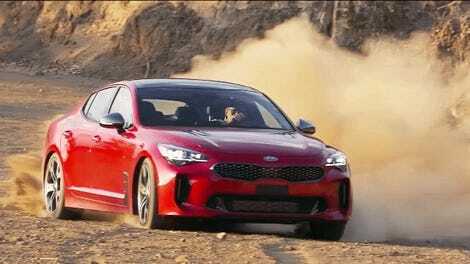 Kia understands this and will indulge us with the 2018 Kia Stinger. I don’t know if this is good marketing or if we’re just crass. In Europe, a loud exhaust note is considered unrefined, like a bad or broken muffler. 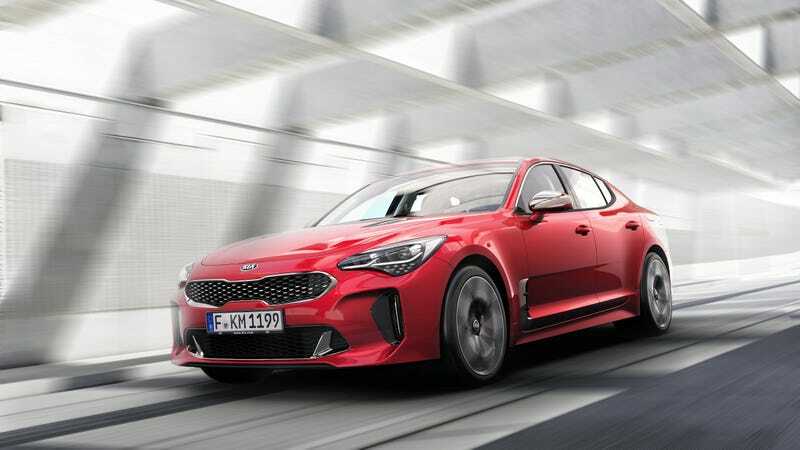 Us here across the pond are like, “SIKE.” So Kia is making the Stinger louder. Just for us. Aw. To make that happen, Kia Motors America had to urge the home office in Seoul to develop a richer exhaust note, a change that involves moving baffles within the muffler to yield less restriction... Hedrick assured me that even the first customer cars will be fitted with the throatier hardware. “It’s like 38 percent of what I would like,” says James Bell, director of corporate communications. Bell, who was integral in pushing for a more vocal engine, notes that Kia is already seeding the car in the aftermarket with companies like Borla, a well-regarded performance exhaust company. You know what that means? MAKE WAY FOR THE LOUD KIAS.